The stylish, 2nd-floor home offers a feeling of privacy while in an urban setting. Beautifully maintained courtyards with lush plantings welcome residents and guest throughout the public spaces. A light filled entry patio embraces you as you enter this chic and stylish home. Located in the coveted Sevilla development, it features an open concept large master suite, a 2nd full bath and a separate office. The gourmet kitchen is framed by quality cabinetry and wood floors. Two sets of French doors lead to private terraces to peacefully enjoy the outdoors. Elevator access to all levels including the secured underground parking. 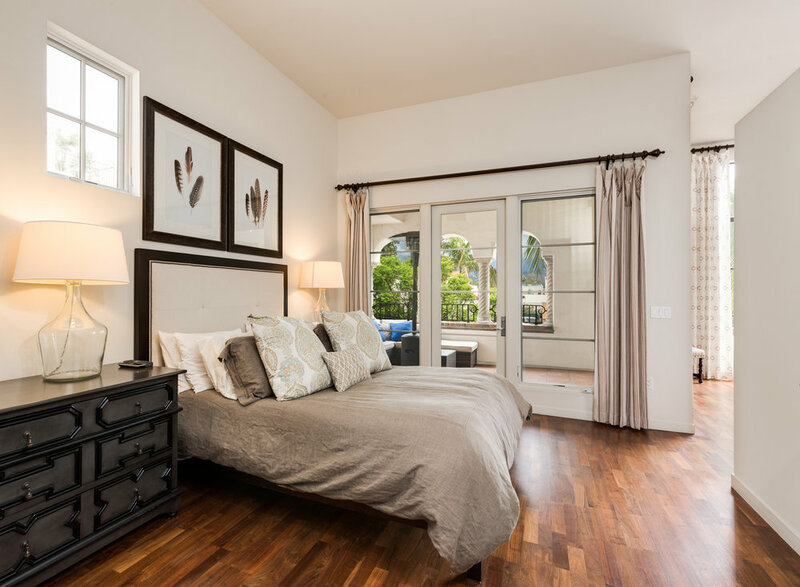 Sevilla is a private luxury enclave that blends modern style with quintessential Santa Barbara living, located in the heart of downtown, with nearby theaters, restaurants, shopping, and close proximity to the beach. The development is home to a highly individualized collection of spacious one-of-a-kind residences. 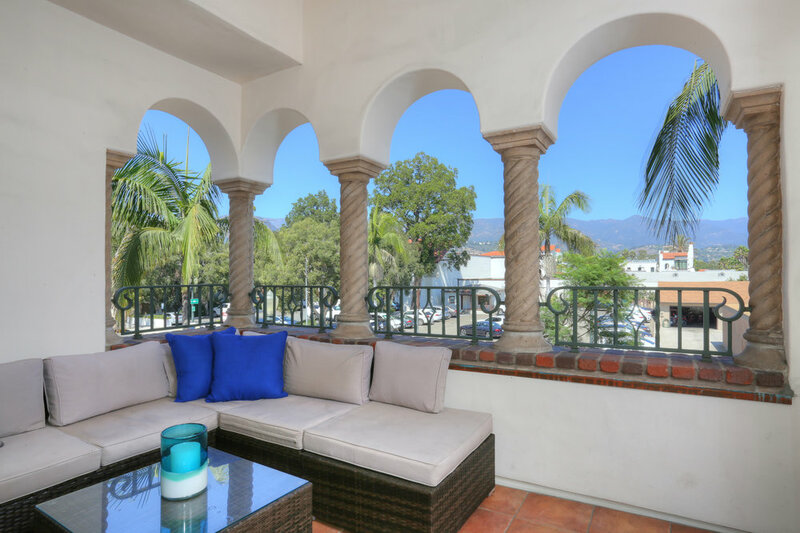 The iconic Santa Barbara character is artfully expressed in arched porticoes, expansive terraces, tiled courtyards and coastal and Riviera views.